Faster Hours Tracking In The Field. Streamlined Payroll In The Office. 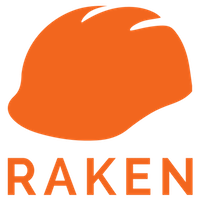 Earlier this year, we announced Raken Time Cards, a key update to the Raken Field Management app that enables superintendents and foremen to quickly track hours in the field while streamlining payroll for the office. This Time Card Tutorial Video will show you how Superintendents create individual & crew work logs to track hours for their work force using the app, how the employees get initially setup on the web, and how payroll administrators and project managers schedule and utilize the reports. Who Uses Raken Time Cards? Stop us if this sounds familiar: you're a superintendent at the end of a long day. Your subs swing by the trailer on their way home and each one of them hands you a different paper: their time card. The only problem is that three of them didn't hand you a time card for the right day and there are individual workers on different crews putting in a few extra hours that you'll have to track tomorrow, or do some adjustments on the fly to make sure that each cost code is getting the right amount of hours put into it. Or maybe this is more your speed: you're a payroll administrator and it's the end of the week. Your supers have given you time cards from three different job sites and nearly a dozen different subcontractors. You need to review each of them so you sit with a stack of time cards on your desk inputting them into your payroll system one at a time. When the GC asks you what the labor budget is on a particular site, or how much time was allocated towards a certain cost code on a certain site that day, you are left staring blankly and scrambling for an answer. If you've found yourself in a situation like that, then we've got news for you. You've got a time card problem. Luckily, Raken Time Cards has a solution for you. Like everything Raken does, we designed our time cards with the field in mind. What that means is that we did a deep dive into what Superintendents and Foremen were looking for in a time card solution and designed our latest update to the Raken app to make it easy for them to use, regardless of their comfort level with technology. First of all, we put the time card workflow right into your mobile phone so you can input hours wherever you are, not sitting in the trailer. When a Super or Foreman puts over 8 hours into Raken that time is automatically split between OT, RT and DT with a single tap. You can even go and split a crew's hours between different cost codes within a single day. Is one guy working late? After you put in a crew's hours you can make changes to individual workers within that crew, and everything updates automatically. If you are a project manager or payroll administrator, Raken Time Cards are a perfect solution to get accurate, up to date information from the field that you can use in the office. Raken Time Card information is updated as soon as your Supers input new information so you can know, right away, what the labor budget looks like for each cost code across your sites. You can even run a cost code report to get even more information and always stay on top of the budget. Each report in Raken is standardized, which means no more searching different paper time cards looking for the information you need for the payroll system. You can even export a Raken Time Card into Excel for faster payroll processing. You can also schedule time card and cost code reports right from the app. If you process payroll on Friday, you can set Raken to get your reports before you get to the office in the morning so you know you're working from the most recent, relevant data possible. Raken Time Cards is a big step for us-- we designed our daily reporting workflow to be the fastest, easiest process around and we are bringing that same commitment to time cards. We're sure the new workflow will save time in the field and in the office, helping our crews be even more efficient. Raken Time Cards are being rolled out to all of our current customers over the next few weeks, just look for the notification in your app. Please let us know what questions you have (866) 438 0646 or schedule a session with us to assist with setup of Raken Time Cards on your Raken account!